At this page you can find explanations of a selection of our projects. We are unable to show all projects we work on because of confidentiality agreements with our clients. An electric car that allows fish to steer their tank into a certain direction with computer vision. With this project we wanted to show that computer vision technology is not just limited to the usual automation projects or information gathering. It can also create interactions that are so simple that they can empower animals. 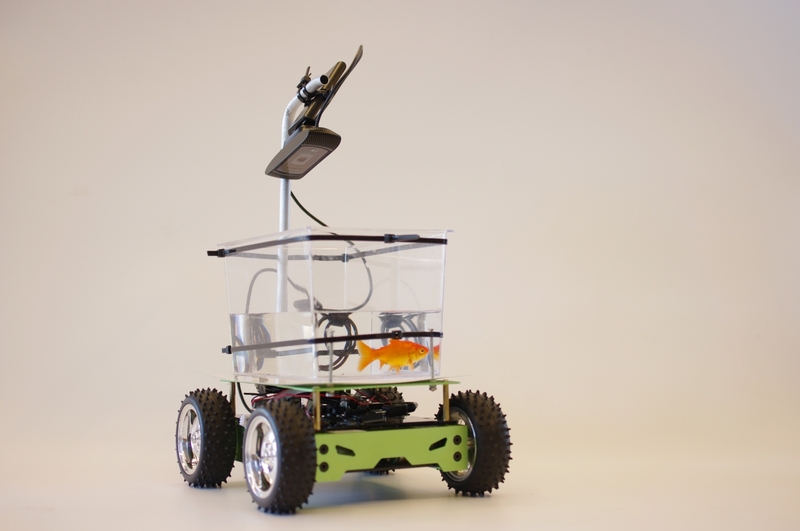 Fish on Wheels shows this by allowing fish to move their own fishtank, if they are smart enough to understand this. 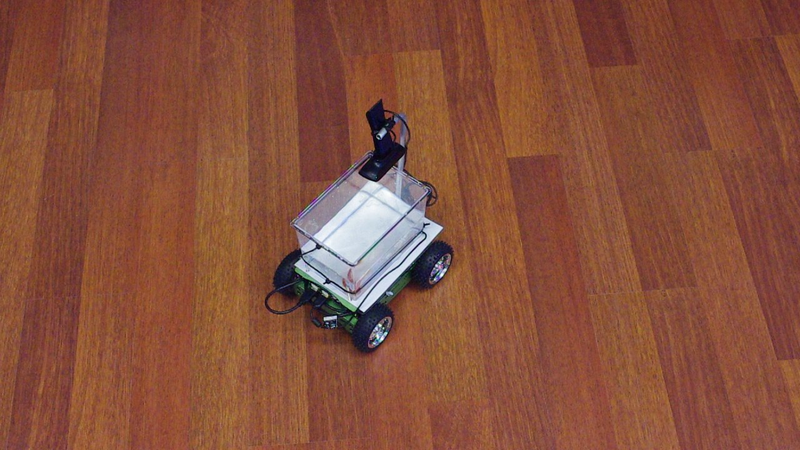 A prototype version of Fish on Wheels has been constructed using a standard webcam, a battery powered Beagleboard-XM and an Arduino controlled robot vehicle. 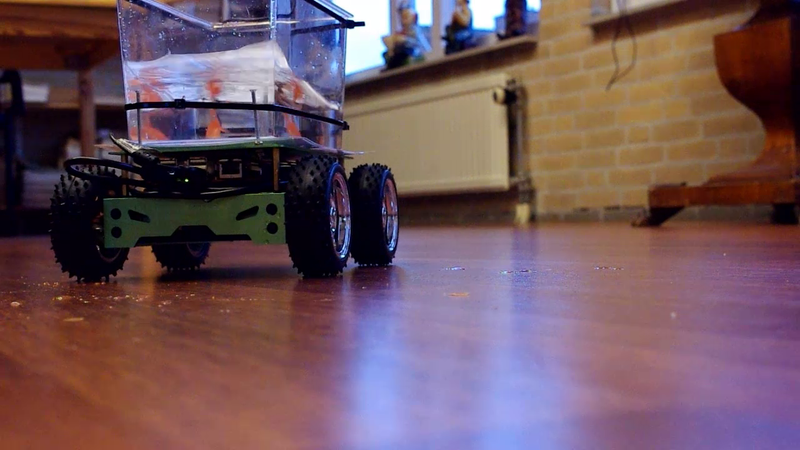 Using the contrast of the fish with the bottom of the fish tank his position is determined and used to send commands to the Arduino for moving the car into that direction. The whole device is completely stand alone. 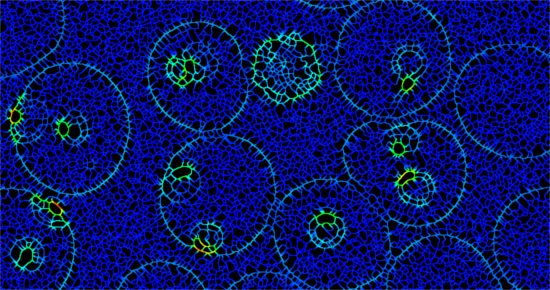 Automatic screening of microscopic images. Malaria parasites can easily be seen in most microscopes by a trained microscopist. In the western world this is however a time consuming and slow process as usually different tests have to be done to be able to determine the type and presence of malaria. 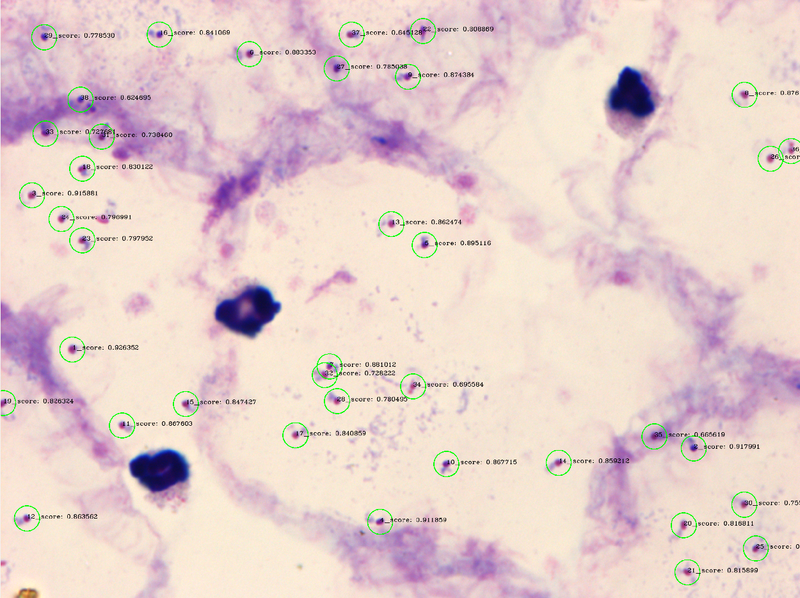 With an automated microscope and computer vision it is possible to pre screen images for the presence and type of malaria parasites to aid microscopists. 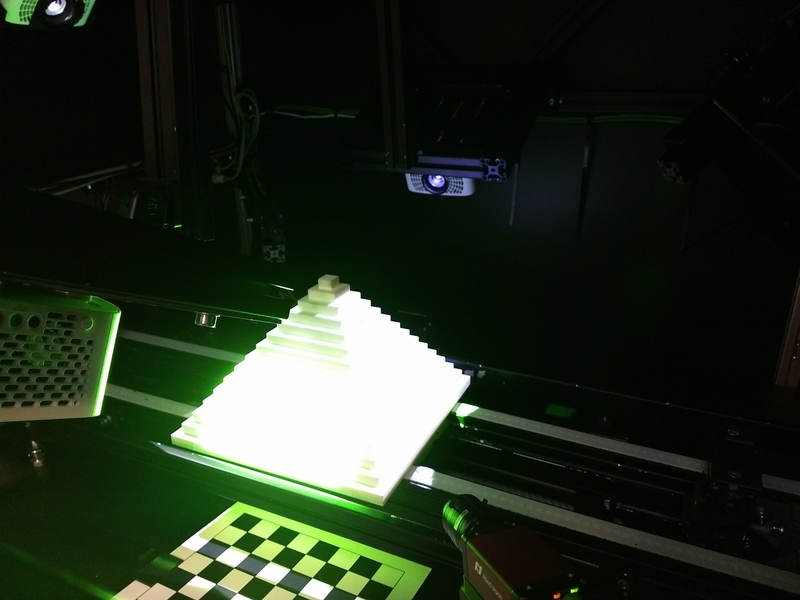 Studio diip has developed a 3D structured light scanner. The 3D scanning protoype is now in use in a project for a client. The system is by now refined to work with sub millimeter precision for objects ranging from 1mm to 300mm. In combination with customised algorithms this system is able to identify unknown objects and do quality control. 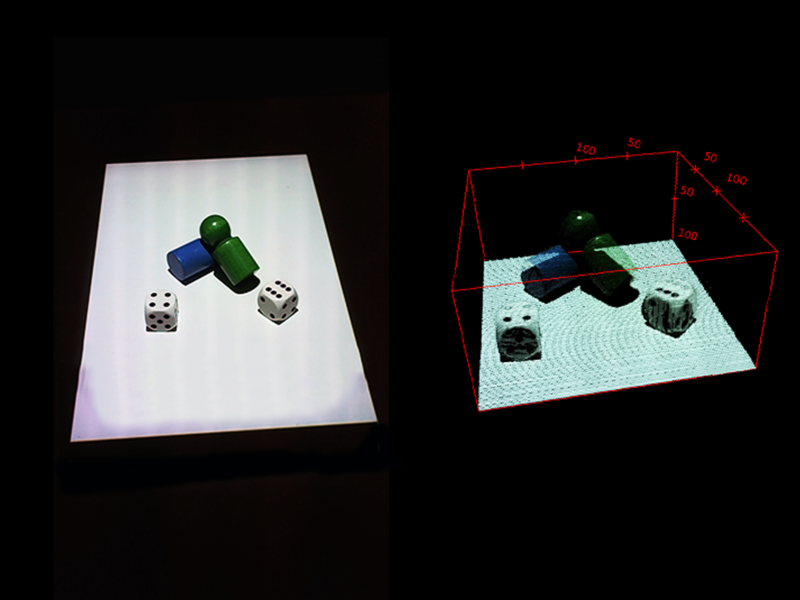 Studio diip is able to develop 3D computer vision applications and algorithms, using structured light, time of flight or stereoscopic imaging techniques. Providing insight in the efficiency of waste sorting. 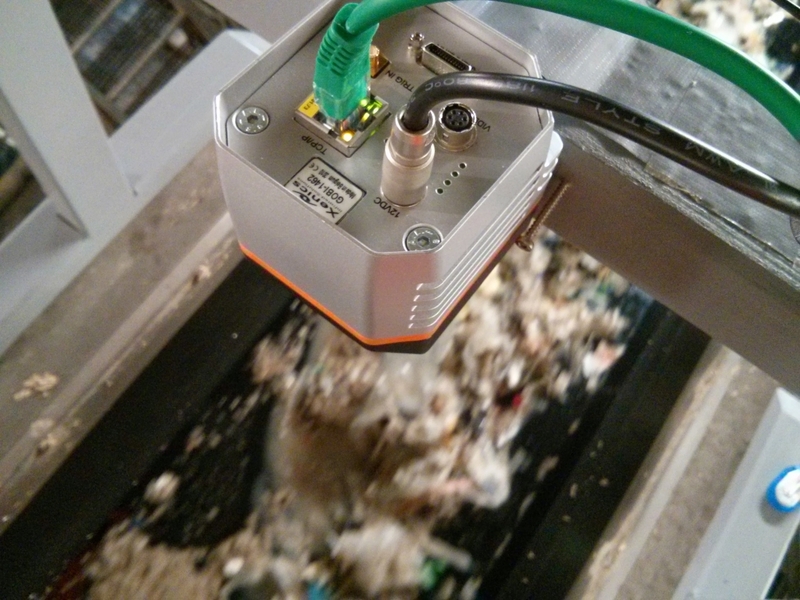 This system is a combination of a thermal camera, normal camera that look down into a stream of waste material. The objective of this project was to be able to measure the amount of useful material that was still in the waste stream of an industrial process. With this information key processes can be controlled to provide more effective recycling and cleaning of the waste material. 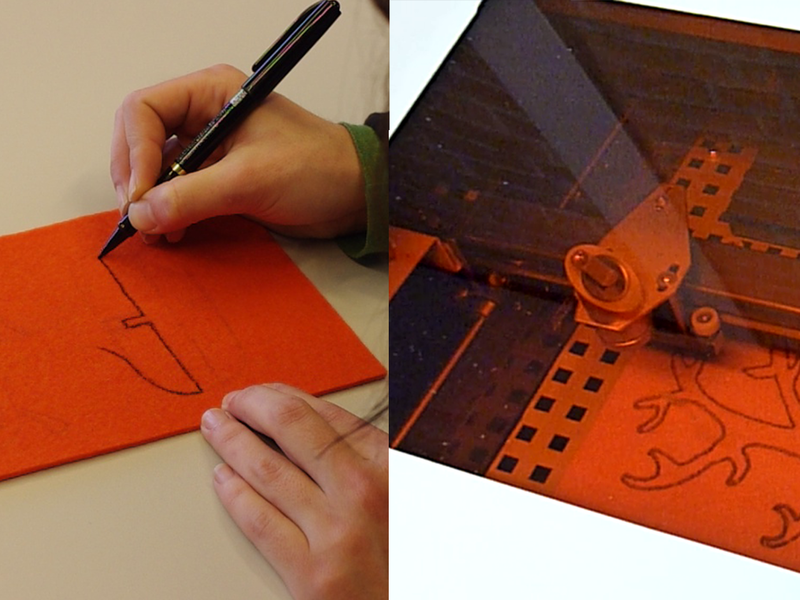 Your drawing automatically cut by laser! All sorts of materials possible: wood, plastic, felt, bamboo, glass, etc. Sketch & Cut is a machine that makes it possible to draw a shape on a material that you want to cut. Just put the material in the device and it will automatically detect and process the shape you’ve drawn with its camera! By combining laser cutting technology with computer vision we developed a stand-alone, easy to use laser cutting machine that can easily be used by everyone. An automated card recognition system that broadcasts bridge matches and assists referees. The Bridge Card Reader is a product developed internally at Studio diip and shows the effectiveness of developing a product when looking at it from different perspectives. It shows the capabilities of Studio diip to design a complete product and system, develop the necessary software, implement and test it with the players that use the system and develop a profitable business model behind it. The Bridge Card Reader consists of a computer connected to cameras and various other components to make automatic detection possible. 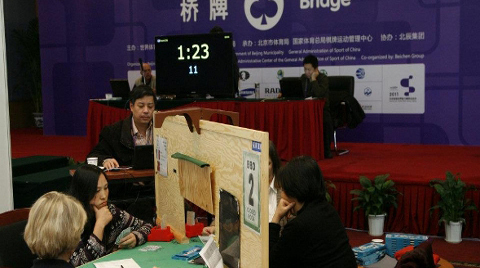 The system is developed and tested with the World Bridge Federation and it has been used at the World Bridge Championships in 2011. Currently Studio diip continues to develop BCR to make it possible to one day broadcast all international bridge tournaments without the need of manual operators. 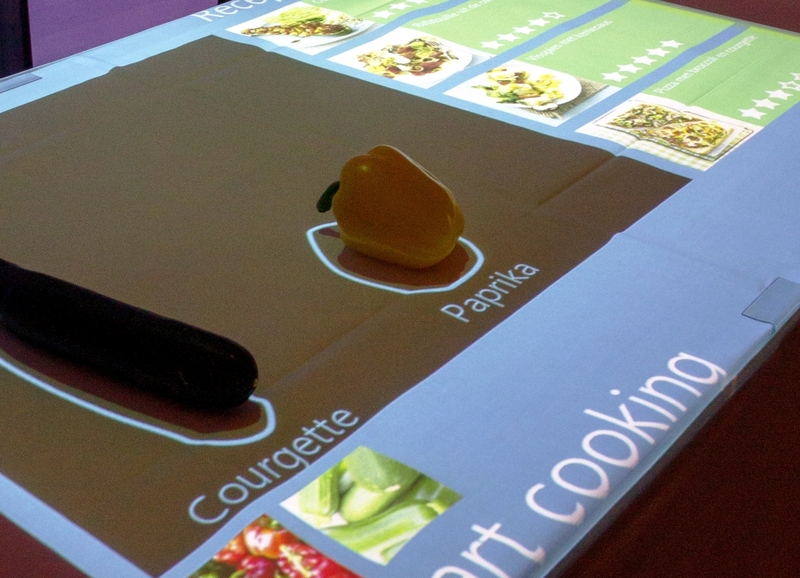 Vegetable recognition system that suggests recipes based on the vegetables on the table. The vegetable recognizer is an internally developed demo system that aims to show how computer vision products can be included in our everyday life in a simple way. The system can be used in a supermarket to show customers the possible recipes with the vegetables they plan to buy. The vegetables on the table are recognized by the system which shows recipes that include these vegetables. This creates a more intuitive way of browsing possible recipes based on the vegetables of your choice. 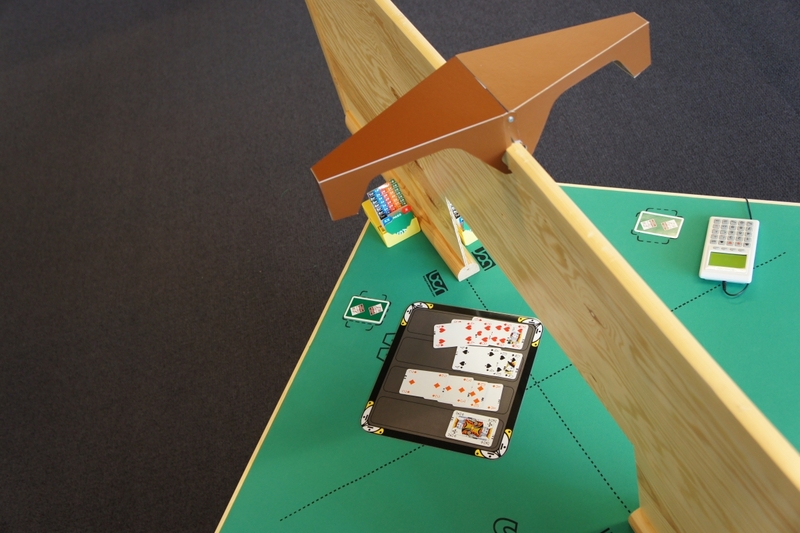 A card detection system for the casino game Blackjack that can teach people how to play. By detecting card stacks with a top down camera it is possible to find numbers on each card. These numbers are identified using learning algorithms to determine their value. The system calculates the score per player and projects this along the cards. 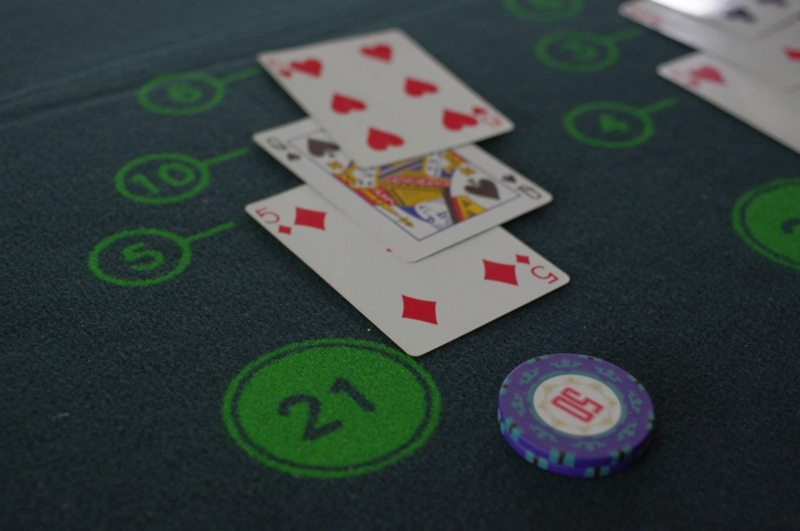 By using specific Blackjack algorithms chances can be estimated and shown to turn anyone into a Blackjack expert. Custom built number plate recognition system that can feed information into many different systems. 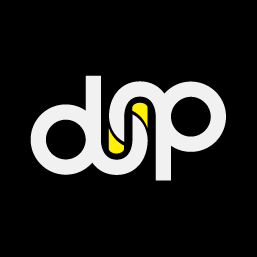 Studio diip has developed an Automatic Number Plate Recognition (ANPR) proof of concept. 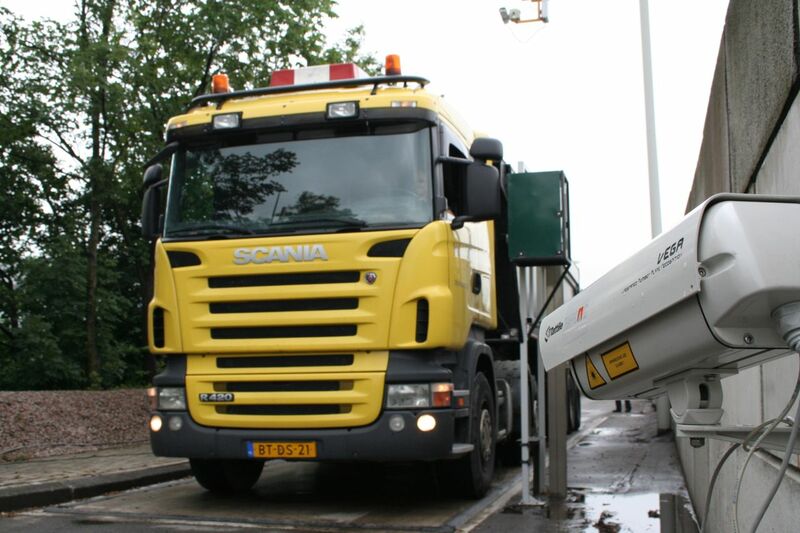 Of course there are many commercially available ANPR systems now, but Studio diip has the ability to create one that fits very specific needs in this case for a logistics company. The ongoing development of this project is under NDA and more information will be released later. To investigate number plate recognition and the development of a specific system for a client Studio diip gathered video footage of passing cars and created a program that is able to extract license plates. The combination of program and movie file helped us to identify possible problem areas, get to know the hardware and show the possibilities of the technology to the client.